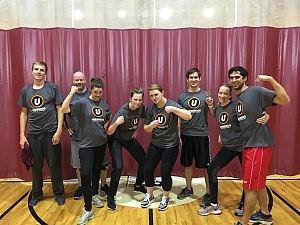 It did not come easy, but Daj Mahbal prevailed to take the Fall Dodgeball League Championship. They did not receive a first-round bye which meant they had to play early, and often. Already having played 2 games and a grueling semi-final match, they met Cool Name Pending in the championship. Neither team ever got into a rhythm which made it a very close match. with only 2 minutes left in the game and the score 3 to 3, the championship match came down to the last game. It was only fitting the Daj Mahbal made quick work of Cool Name Pending in the final game because they made quick work of most of their opponents tonight. Outstanding effort and season, Daj Mahbal! The Dodgefathers played a very tough match to take the Division 2 title. It was not ever easy for them, but they made the key throws and dodges to secure the win. Reservoir Dodge gave them a great fight, but The Dodgefathers proved to be too much as they pulled away 4 to 2 to secure the title. 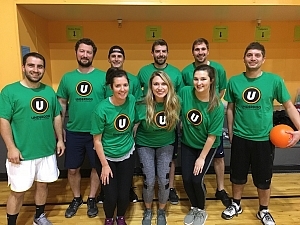 Great season, Dodgefathers!